A high-powered, industry-based effort to bring Australia up to speed on electric vehicles, by building its first nationally coordinated EV fast charging network, is set to be realised, after receiving a major funding boost this week. The plan to build the national electric vehicle highway is being led by Fast Cities Australia and is closely linked to the deep pockets of Rich Lister and energy entrepreneur Trevor St Baker. Fast Cities said on Friday that it had secured a $7 million investment from St Baker’s Energy Innovation Fund – allowing work to begin on the project, which it believes will give Australian EV drivers, fleet owners and manufacturers the confidence to go electric. “We’re in roll-out phase,” Fast Cities Australia CEO Chris Mills told RenewEconomy on Friday – starting with what he calls a “legitimate backbone” of 42 sites, each with a minimum of two 350kW fast chargers. The Fast Cities Australia initiative – and the vehicle to drive it – was first hatched almost four years ago, initially in partnership with Tritium, just after the latter company had signed a deal to have its world-leading Veefil DC fast chargers installed across three countries in Europe. Since that time, Tritium has not looked back, landing more and more deals across Europe, setting up a base in Amsterdam, and ramping up the production capabilities of its Brisbane manufacturing base, to meet the booming demand. And its technology has continued to evolve, too: its High Power Chargers, offer EV drivers 150km of range in just 5 minutes – almost as fast as filling up a petrol tank. As we reported here, it was for these HPCs that the company signed a huge deal at the start of the month with Munich-based IONITY – a joint venture with BMW Group, Daimler, Ford and the Volkswagen Group – to supply a network of around 400 charging stations with up to six HPC units for 100 sites being built across Germany, France, UK, Norway and Sweden. But while all this has been going on overseas, in Australia it has been a different story – thanks largely to a dearth of supporting policy or industry support. And that’s where Fast Cities comes in – although these days it has no official affiliation with Tritium, beyond plans to use its technology. The outfit – off the back of seed funding of $0.5 million, also from St Baker’s Energy Innovation Fund (St Baker is also Fast Cities’ chairman) – has for the past 12 months been busy selecting, designing and planning sites for the nation-wide infrastructure. Now, it has enough working capital to begin work in earnest on the $100 million infrastructure project, which both Mills and Fast Cities co-founder Paul Fox so passionately believe will be critical to driving Australian EV uptake. The first step of the plan is to have the first 16 sites – which will span between Brisbane and Melbourne – installed by the end of 2019, with the balance of the 42 to be completed by the end of 2021. Mills says the initially rollout amount of 42 was settled on based on the theory that it would put the fast charging sites within around 150km of each other. Any fewer sites would not be properly “national”, and would only cater to the prestige end of the EV market, whose cars have bigger batteries than can travel further on one charge. “That first 42 sites is what we call the national backbone,” Mills told RE. “We would intend to then flesh out further sites. “Our genuine aim is to catalyse the industry… to increase the uptake of EVs in the country. “If you look at the next key ingredient (to this), you need to apply 350kW charging units. Anything smaller or slower adds a unacceptable delay to your travel time. And Fox adds that this calibre of fast charger is also crucial to converting the commercial market to electric vehicles – he points to ABS statistics showing that almost one-quarter of all commercial vehicles kilometres travelled are on extended trips. “If you’re serious about attracting the commercial market, they’re not going to tolerate waiting an hour to charge,” Fox said. Of course, $7 million is just a small portion of the estimated $100 million Fast Cities’ believe it will take to build a 100 site network. But the team is confident that as market momentum builds, and all parties awaken to the benefits of EVs – consumers, networks, the auto industry, government – this network will catalyse further investment. “What we see now is a lack of confidence in the market to buy or import EVs,” Fox told RE. “We actually believe that (this project) will provide that confidence, give confidence to that market. It will have a catalytic effect, getting out there, getting that thing built. Should the government be helping to pave the way? “For us, there’s obviously things we would like to see, network tariffs, planning processes and procedures, that would make it easier to deploy fast charging in Australia,” Fox says. And government funding would probably not be sneezed at, either – as Fox notes, there’s a strong case for spending on boosting EV uptake, not least for emissions reduction. But Fox says that a great deal of the work that needs to be done is simply around awareness. “Drivers need to know that electric vehicles are coming; they should be thinking now that their next car will be an EV. It’s not the charging infrastructure that’s the problem, it’s the fact the cheapest EV you can buy is $50K after on-road costs and it’s about the size of a Toyota Yaris. The Kona/Niro twins are gonna be $60k+ in Oz. Over $70k for the long range versions. They need to be half that price to get traction. Still looking for excuses, but now based on your forward estimates rather than actual prices. Australia will transition to electric vehicles ooner than you can imagine. Ioniq EV has a 28kWh battery. The Kona EV has a 40kWh battery or a 64kWh battery for the long range version. Magical thinking won’t make it cheap. And the more charging infrastructure the country has the less excuses from the dealers that there’s no where to charge so no reason to sell, the more that then do make the effort to sell electric the more competition in the market bringing lower prices, once again we get back to the original basis of the article, more infrastructure is getting built. You haven’t a knowledged the savings on fuel and maintenance. No price comparison is valid without factoring this in. The more miles an EV car does over a year or five, the sooner the break-even point is reached. Petrol isn’t cheap. I own an Outlander PHEV so I understand the petrol savings. Sticker price is everything when you buy a car, and unless you have solar (I do) our electricity is pretty pricey. A full bev is about 30% cost per km, even with our electricity prices. Maintenance is far removed from the ICE servicers’ bonanza. Apart from changing the government what would you like to do to increase take up? Citing the mythical $35k 400 km EV is easy, but apart from China, they don’t exist. Battery prices are plummeting annually. The big manufacturers are getting on board – well at least those which want to survive). What’s not to like? Running costs are not going to convince the average Aussie to buy an EV when the sticker price is $20-30k more than the equivalent petrol-engined car. 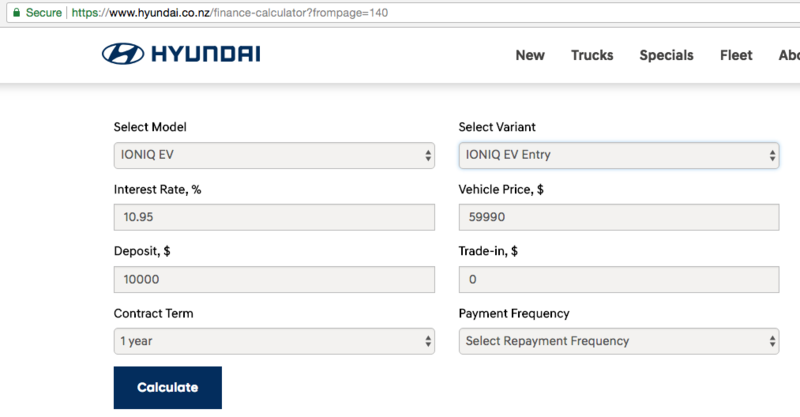 What will make a difference is California-style incentives that push the price of an Ioniq EV below $20k USD. Why not? perhaps when everyday people actually drive one, and see that for any use outside of a sports car its just better in every way, they will be willing to pay more. The two biggest ones are the smooth exciting power delivery, and the fact you can “re-fuel” in your garage in 20 seconds. People spend extra money on useless crap everyday. You can get a Mazda 6 for just over 30k, but people spend 50k on one to get a few gadgets like a sunroof and leather seats. You can get a decent kettle in K-Mart for $25, but people choose to pay $180 on some fancy one. A $300 smart phone does they job, but people choose to pay $1500 all the time. If you were right EVs would be selling like hotcakes already. I did say WHEN people actually drive them, which they haven’t. Right, so point me to a manufacturer, any manufacturer, who has brought an EV into Oz without a massive markup. We need a change of government, and we need some real incentives that take $10k off the sticker price. Are Teslas affordable? I was unaware. The Model 3’s you can actually buy will be $70k easy. Even the base model will be mid 50s at best. We need a $35k EV with a 400km range of you’re going to get some interest from the masses. I see no prospect of that happening in Oz for the next few years. We are absolutely dead last as a lucrative EV market in the developed world. A hostile government, high electricity prices, low petrol prices, a market that loves huge SUVs and dual-cabs, and an absurd obsession with towing and range. Well that 35kAUD vehicle doesn’t exist anywhere in the world, so the point is moot. While having compelling EV’s in this country would be great, Australia really has no need to be at the forefront of EV ownership as we have SFA to do with development of world car trends, so when EVs are popular overseas, prices will come down, range will improve and them we will start to adopt. Also the Ioniq EV is sub $20k USD in California after federal and state incentives. Yes, Tesla’s are very affordable in their market segment, and model 3s will be affordable in their market segment and the trend will continue as battery prices drop, production increases and more brands of EV become available. You keep banging on about $50k as if it’s exotic. Take a look at the prices of the majority of the 1m vehicles purchased in Oz each year. Good one, no idea why I keep hearing 50k is a lot of money. If you don’t have that much, it doesn’t others don’t. Yes, hardly any cars are sold in Australia at that price! Get a grip man, some people have quite a bit of money to spend on cars, and they do. Perhaps because its out of your price range its not fair…. the horrible perils of a capitalist society. We need to electrify transport in 20 years. Vehicle fleets take around 10 years to turn over. Right now the cheapest EV option in Australia is a micro car for $50k. We have a long way to go and not much time. We need a change of government now? No disagreement from me on that one but the government has SFA to do with the behaviour of car inporters and dealers. The price will be determined by a combination of lower battery costs, higher production volume and local competition. Govt incentives make a huge difference in places like Norway and California. first you need an election, then a change of government, then add another 2 years for a new government to get their head around EV support, by then the total cost of ownership will be lower in more segments than not. The Federal government must set the agenda with strong policies for decarbonisation of the transport sector. It’s pathetic 26% on 2005 does nothing of the sort. The only concession for EVs at the moment is a trivial discount off LCT, and the fact that at the moment EV drivers don’t pay fuel tax. Road user pricing is inevitable, and a couple of enlightened States (and the ACT) offer concessions in rego and stamp duty. Actually, Tesla prices translate pretty closely to o/s prices. Tesla has suggested the Model3 will be offered in Oz at the transfer price from the US (plus shipping). Your belief of a “transition” to EVs is about as rational as the socialist utopia of Mao’s China. Hybrids are the future as demonstrated in advanced cultures such as Japan. Yeah I know, $80k! Who can afford $90k for a Kona? I don’t know why Hyundai thinks they can get away with charging $100k! When the vehicle is currently in such limited supply, and demand is still there, they can charge whatever they like. What makes you think they will be that expensive?. Here’s a top tip. They wont..
Because the Ioniq EV is $60k across the Tasman, the Kona is a compact SUV with a much bigger battery pack. Ignore the pricing over the ditch. It means diddly squat here. I know. It will be worse here. NZ has a government that actually supports EVs. Many households have two vehicles. One of those, the one that never leaves town, could be an EV of modest range and price. We got an iMiEV about 5 years ago, ex-demo for $24K. Early this year we got a second-hand Holden Volt for our long-range vehicle. It only uses petrol on trips out of town and cost us $25K with 4 years of warranty left on the electric drivetrain bits. All local our trips with these two vehicles are purely electric. You don’t have to spend $50K to make most of your driving electric right now. You have done a good job of that! Yes, there is a problem with the charging infrastructure. on a small country town supply. Probably dim the lights for miles around. The photo showed six chargers so 2400 amp supply, hmm. These stations will have to onto the 1400 volt grid. More cost. The photo is from Europe. They’re saying two per site here. Don’t worry, there are many Tesla superchargers already in Australian country towns and they cope just fine. Worst case, they can use battery storage as a buffer. Best case – “they’ll use battery storage as a buffer”. Yes that could be an expensive way around it. BTW the faster the charger the heavier the plugin cable gets. A 5 minute charger might require a crane to lift the cable. Still not a good idea to stand near a battery being charged at that rate. Yes, sizable towns would not be a problem, it could be accommodated in the normal growth figures for that town, but no one should be surprised if a charging station gets a bill for many thousands of dollars to connect the high voltage lines. 700kW about the energy drain of many air con plants in many places. Note the units “k” for kilo lower case and “W” Watts. Give it a few years and this should be sorted/. It IS the charging infrastructure that is the major problem. Followed by a small number of models available in Australia, which is mainly die to the complete dearth of interest or intent shown at Fedeal government level. The en route Rapid charging network is key to enabling commercial, coach and truck introduction, with passenger vehicles being the early visible users. YAWNNNNNN. Same argument every time a new technology is introduced. DVD Players are for rich people, mobile phones are for rich people, Plasma TVs are for rich people, refrigerators are for rich people, cars are for rich people, etc etc. Get over it. The question of “Should the government be helping to pave the way?”….the answer is yes, of course. And we have the money sitting in The NAIF where it is doing nothing at moment. It’s the kind of public spending that does pay off in terms of both tangible and intangible returns. I wish most of it would toe that line. Moreover, it’s the perfect example that public debt (if the government chooses to fund it that way) can be wisely employed to become the wealth of the nation, both as increased economic activity and avoiding negative externalities thereof. Way much better than using public indebtedness to prop up QE policies of the sort we’re already skeptical about, which, by and large, end up serving as a tool to make the already rich top strata even richer through corporate buyback of their own stock at a discount and other equally unfair shenanigans. Let’s assume, yes, they have the money, and yes they can do it. 350kW units. Awesome. That’s mass market acceptance. The 350kW Veefil units in Europe (IONITY) are CCS2 only. Would we do that here? The number of Chademo vehicles is getting smaller and smaller. But in Europe, there are a lot of Chademo chargers – not so much here. It is still “the standard” that all new DC sites are Chademo + CCS2. 16 locations between Melbourne and Brisbane by end of 2019. That’s pretty ambitious, but great to see. Look at their total numbers. 42 locations, 150 km apart. That’s approximately 6300 km long. For comparison, Adelaide to Cairns is 4200 km, Perth to Cairns (via the south east) is 6800 km. Not suggesting that they’ll go across the Nullarbor (then again.. not saying they won’t) but it’s an example to suggest what scale they are aiming for. What will they do where existing networks operate? Competition is good – but not if it means one or the other fails. RAC WA: Probably wouldn’t mind if a couple of sites were “upgraded” (bearing in mind that RAC WA sites are ~40 km apart and this new plan is aiming for 150km). QESH: The Government would not be happy to see all their brand new 50kW fast chargers look like old technology. NRMA: Probably have a lot of their site selection and planning done, but they should endeavour to not overlap with this group. On the other hand – and this ties in to the Chademo thing above – if FCA is not installing Chademo-compatible units, they are only half competing with these existing sites. The other consideration is: Should an organisation that is currently progressing a rollout put it on hold just because another company has said they will do it at some point in the future? Just a bunch of random thoughts. Very interesting news in any case! As someone 800km from Perth, the fact there is no fast chargers between my town and Perth means that a pure EV is basically out of the question for my next car. I’d love to see some DC chargers between Perth and the Eucla to be honest. Yeah, unfortunately it’s going to be a case of in order of population density as these things usually are. There is a Round Australia Electric Highway along this route which is only 22kW – fine if you are touring around and want to visit lots of places but not so much if you want to travel 800 km from wherever you are to Perth in a day. With the number of kilometres this company wants to activate it is possible it will include Perth-Coolgardie-Norseman (maybe even down to the south coast back up to Perth). It’s all speculation of course. I look forward to more information! To fully charge in 5 minutes would worry me. has a 30kwhr battery. Temperature rise ? Fan cooling ? Might get away with it occasionally but every day ? I am not an expert but interested. What is the Chademo you mentioned; a plug standard ? I was quoted $57500 for a Leaf. Why would you fully charge every day in 12 minutes? if you eventually get a vehicle that needs to travel that much distance every day and is capable of receiving 350kw charging it would be built to that standard to handle it. That is not what I said. Charging in 5 minutes means you have to charge at a rate that is 12 times the Kwatthr rating of the battery. That would worry me. The internal connection of the battery and the internal connections of the car may not be designed for such currents. All batteries have internal resistance so the heating would be significant. Unless the warranty specified the maximum charging rate I would not use that charger. As Ferris B said, you wouldn’t charge at that rate every day. These stations are for the dozen or so times a year when you go on long trips. Electric cars today can handle the daily drive for almost everyone. Who quoted you $57500 for a Leaf? They haven’t been that price for about 5 years and they haven’t been available new for at least 12 months. Second hand models go for $15-30k. Probably old stock, not version 2. Porsche and the VW group are already there. Jaguar is getting there. Tesla – in its own way – is getting there. These are DC “ultra rapid chargers” intended to support intra- and inter-State travel. Remember the Tesla SuperChargers are intended for travel support – not daily convenience top up. Every EV parked in a driveway or garage will be fully trickle charged overnight, using AC and onboard inverters (the limiting factor). CHAdeMO is the Japanese standard, developed because there was no other Rapid Charger standard at the time. EU and NZ have adopted CCS2, and it’s becoming the standard in Oz, despite the Feds having no interest in setting a standard. It offers AC (more or less up to 22kW), and DC (currently ~400v, 50kW, but moving to 800v, 350 kW max.). CHAdeMO may have a shorter life of relevance in Oz – apart from Nissan, the Japs aren’t very EV. Thanks interesting. I had noted that some cars were 400 volt batteries. Are some cars changing to 800 volt, hmmm ? I always wondered when a service mechanic would get electrocuted. I gather from your comments that some cars accept AC, so they must have rectifiers built in. Do most cars have built in 240 volt 50 cycle chargers ? AC Charging is done from a Level2 EVSupplyEquipt (EVSE) through the onboard charger, which rectifies/inverts to DC, steps up voltage and charges the battery. These can be 2kW, or 3.5 (Leaf, Volt), or 7, 11 (late i3), or 16.5 ish (late model Tesla), or 22kW (early Tesla and Zoe). Level3 Charging is done via the Tritium type DC Rapid Charger. It connects directly through two pins, to the battery, and thus bypasses the onboard AC Charger. Not all models have DC charging. E.g. It was an option on i3, so some don’t have it = “city car”. Here’s something I have thought about, but never seen… Charging at around 400v DC direct from solar panels. No need to convert to AC, then back to DC… Maybe there is some technological reason I don’t know about ? Sorry, outside my expertise. In principle yes, but you would need “a box” to handle the comms to/from the vehicle, and to condition the power supplied (EVs a bit finicky”!). Who cares about Chademo? I know you own a Leaf, but its really just so tiny how many of those cars are out there. They are not, for most people, practical long distance cars anyway, keep it as a city runabout. The sooner CCS is the only standard, the better (Unless you are one of those people obsessed by “beauty” of the Tesla plug! Oh please, its a plug you use ONLY at fast charge station) . I just don’t see anyone outside of Nissan supporting Chademo outside of Japan anyway. If Nissan wants to keep releasing Chademo cars outside of Japan, may the egg be on their face. That RAC network looks like a bit of joke to me anyway, more like a high-school project, was once exciting and now looks forgotten about. What plans do they even have to change from CCS1 to 2? Have they been hammering BMW to swap out the i3 charge ports? As for the NRMA and Queensland Networks, they will simply be a great addition. So the RAC electric highway looks like a bit of a joke to you? Sort of like the first fleet with all those rickety wooden boats and 18th century navigation tools, that fleet shouldn’t have departed England, too risky, humanity shouldn’t take risks, stay in the cave I say! You’ve missed the point, the RAC electric highway was a great project in its time, but NOW its a bit of a joke. I never suggested the first fleet shouldn’t have left, but yes, I would no longer be happy for world shipping to be based on 16th centaury sailing ships. The RAC electric highway was an outstanding project in a time when virtually no one had any interest in electric , it was the incentive for many people to take the chance and buy from the limited supply of electric or plug in hybrid available, the RAC electric highway is still a very useful tool in allowing drivers to charge in country areas but also spreading the word that electric cars are the future. I have access to free supercharging and also many FOC Tesla destination chargers spread across WA yet I still use both the CHAdeMO and AC connectors on the RAC EH. If they are going to be serious about providing electric charging infrastructure, then the fast charging network needs to start at Perth and go all the way up to Cairns via Adelaide, Melbourne and Sydney. And that is but a tiny fraction of the roads here. Anything is however a good start in preparation for the day we get affordable vehicles with more than 150km range. There is a map – with roads marked in different colours.. but no key as to what it means. Mmmmmmm – 2 x 350kw chargers per sight. If a few cars rock up, thats a big wait time, and no juice to look elsewhere. 1) If a few cars rock up at once, that signifies massive EV uptake, and more sites will be built (or more chargers to site) to cope with demand. So that’s a good thing. 2) It’s not a big wait time – 350kW cars charge in 15 minutes or less. (Of course at the moment very few cars support this, but EV manufacturers will at least have an incentive to do so). Why do I constantly read rubbish comment after rubbish comment. Did you expect 50 chargers at each site on day one? How come when the first fleet arrived the Sydney of today wasn’t built in a week? Thats a rubbish comment right there – comparing early settlers to the lack of ev chargers. I suppose in your world there will never be more ev`s than there are chargers. Infrastructure is laid out slowly, as in your attempt to link it with the first fleet. However ev`s are not coming as slowly and will overun existing minor infrastructure – hence a long wait time at charging stations and no juice left to go elsewhere. EVs are gradually coming, and so two 150-350 kW fast chargers per site for the next 2-4 years will likely be just fine for in Australia. More can be added as needed, and avoid wait times, just like Tesla has done with their Supercharger locations. So when are our normal service stations like BP, Caltex etc going start providing electric charging pumps? Seems like they are so obliging to let new entrants beat them to fueling EV cars. Yes, it is astounding that the servos aren’t getting involved. Setting up reliable, affordable and convenient charging is essential for them to have a role in the future, if they want to continue to have their “convenience stores” patronised. I don’t see them doing anything while the cars are so expensive. You can still buy a new 2012 leaf for $39500, a discount of $12000 ! They can see that they will never get their money back if prices are double a comparable IC engine car. BP and shell are now proud owners of massive EV charging networks in the UK. I think it is great that they are future proofing the chargers with 350kW, but right now there are no vehicles that charge more than about 100kW (Tesla can do about 120kW, but they are building their own network anyway). Why not use a cheaper 150kW charger, and if it was half way decent design it could be upgraded to 350kW in the future. Then you could either install them ~75km apart or have more stalls (or just save a bit of money, $1mil per site? Wow!). So you get 350kw charger that the best car available right now can only charge at 70kW. By the time 350kW charging cars get here these will be obsolete. I’d suggest that most of the cost in deploying the charger is site preparation and leasing the land. I doubt much of the cost is between 350kW and 100kW chargers themselves. We still don’t know anything about how the euro spec Model 3 will charge at. Might have 150Kw CCS port. Here once again the lack of government support is shown. While it is great that others are stepping up to start the needed infrastructure just imagine if we had some sensible rules invoked. 1) All petrol stations must have at least two fast charging bays by 2020. 3) All new IC motors in cars sold here by 2020 must be flexfuel capable. All indications are that batteries will continue to be the major cost in long range BEV’s for the forseeable future despite the dreams of many. So PHEV’s can fill the gap but we must have a non-fossil fuel alternative for the gen-set in the interim for both environmental and national security reasons. Why put chargers in Petrol Stations? Wouldn’t a food outlet be better? Hardley going to sit in a stinky Petrol station to charge my EV. There are better places. Only in highway fuel stops with food does that make sense. Having a network of fast-chargers available for public use is absolutely critical for the uptake of EVs. The fact that the COALition government is doing nothing to support this shows how utterly bereft of imagination and intelligence they are.